Journalism has been a very responsible job role. The great power of information dissemination and the greater responsibility of sticking to the ethics of sharing the right info, without bias. The ability to tell the story associated with every news, rather than making a boring factual statement, has always been the factor judging the skills of a journalist. The hunger for quality, more than the plea for quantity – that’s how journalism has survived all these years. In an era where self-publishing has grown by leaps and bounds thanks to the rise of the digital network, sharing opinions and publishing stories has become accessible to the larger audience. As news/content websites struggle and fight to catch the maximum eyeballs, sadly, the focus moves on from quality to one of quantity. And thus, Data Driven Journalism, where the stories are just factual reporting of what has happened and an aggregation of the timeline of activities, starts to enjoy all the limelight. As Artificial Intelligence and Natural Language Processing (NLP) advances, the softwares that aid reporting, just keep getting better and better. Compare the scenario to that of an in-house reporter who has to work on the same piece of news as the software. While the software just requires data, certain narrative parameters and whole dictionary to connect up the right words, the journalist requires more time, lunch breaks and a whole lot of coffee to go with it. Yes, the piece of “Robotic Journalism” might not be able to provide a contextual analysis or an opinion on the happenings. But for news websites, who mostly rely on the concept of click & consume, the difference might be insignificant. And since the attention span of the average online user who reads through the content is low, the emphasis grows on the maximum articles generated per unit period of time. Unknown to many of us, most of the sports and financial news reports we see online are actually machine generated, since both these segments rely heavily on the aggregation of facts, rather than providing an analytical or emotional perspective. This poses a major problem for the new generation of journalists, many of whom start off with their careers in the rooms of news websites. Their competition is two-fold. One, algorithms who are handling the job you have been trained to do. Two, the multitude of bloggers and story tellers out there who might be better at capturing the essence of a story. So, when one of your competition is AI and the other is the Human Brain, the best resort lies in Adapt & Enhance. 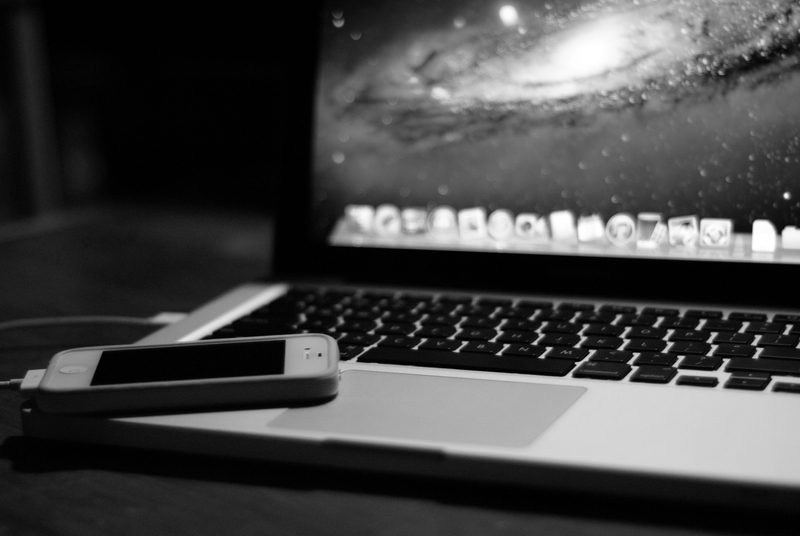 Adapt – to accepting the presence of algorithms in the news industry, in the years to come. Rely on them for news and data aggregation but make the story yourselves. Enhance – your research, writing, storytelling and engagement skills, to help you survive in the industry on the longer run. Writing is about being a storyteller. 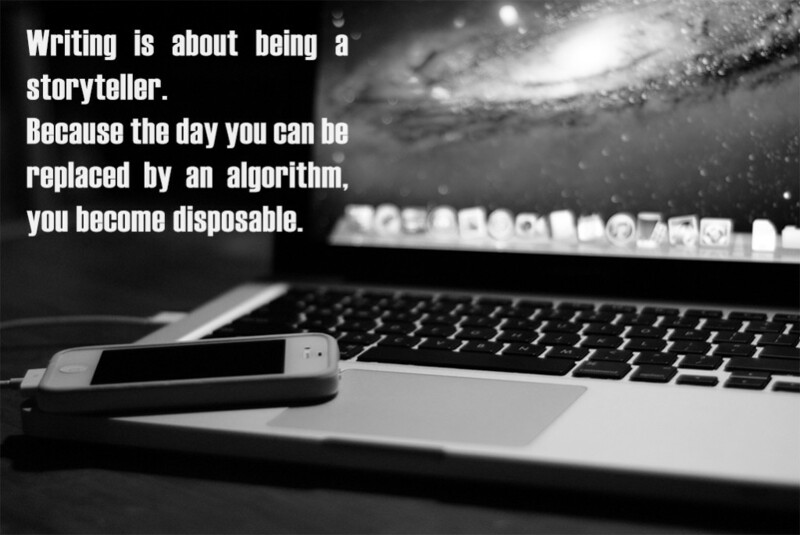 Because the day you can be replaced by an algorithm, you become disposable.